There’s a popular parenting book called How to Talk So Kids Will Listen & Listen So Kids Will Talk. Perhaps it’s collecting dust on your bookshelf along with all the other books you’re too tired, busy or behind on other stuff to read. It’s bright yellow with a cover that kind of appears to be illustrated in crayon, and I think parents mainly like it because it’s large print and half cartoons, so they can actually say they finished a whole book (a nationally bestselling, research-y parenting book, nonetheless!) for like, the third time since becoming a mom or dad. They also probably like it because it’s full of common sense advice about how to hear your kids out and validate their emotions, without breaking down and giving in to their every tantrum, whim and momentary obsession. I admit I haven’t read it cover to cover (I’m so busy I can’t even make it through Nicholas Sparks these days…. ), but I have gathered this general sentiment from the feedback I’ve heard and skimming I’ve done. Smile and nod, and mean it. When talking to new parents, whether at a baby shower, leading a PEPS Group, or lending a hand to the frazzled new family, listen more than you talk. Much more. The sincere smile and nod – the barely there smile and slow vertical head movement along with caring eye contact that says, “I hear you,” “Everything you’re feeling is valid” and “You’re doing a good job” – speaks volumes to moms and dads who, above all else, just want to know they’re heard, supported, and not alone. Your sincere smile and nod gives them the gift of speaking their mind, sharing their joys and venting their frustrations. Oftentimes there is nothing they need more than that supportive sounding board. Open-ended questions are your friend. Don’t dole out advice unless asked. Short of there being a serious health or safety concern on the line, reserve your own opinions for yourself, unless you’re specifically asked to share them. When talking to a parent, let them know what a great job they’re doing (we all need to hear it! ), and use your words to affirm, not question, how they’re choosing to raise their child. When you put away the advice, you just might be surprised what that then creates room for you to learn. I’m not sure what the cartoon companion to that quote would be, but in my mind it conjures up a most beautiful image. 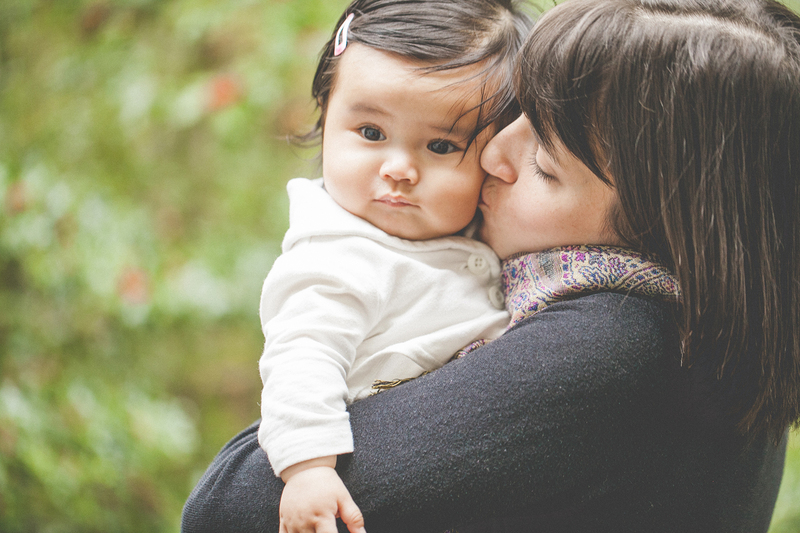 Seattle native Beth Morris is a PEPS Newborn Group Leader, writer for this blog and her own (writeasrainblog.com) and stay-at-home mom to 1-year-old son, Anderson. She enjoys salty margaritas and can sing a mean Shania Twain karaoke cover (definitely in that order), and wishes life were more like the TV show Friday Night Lights.